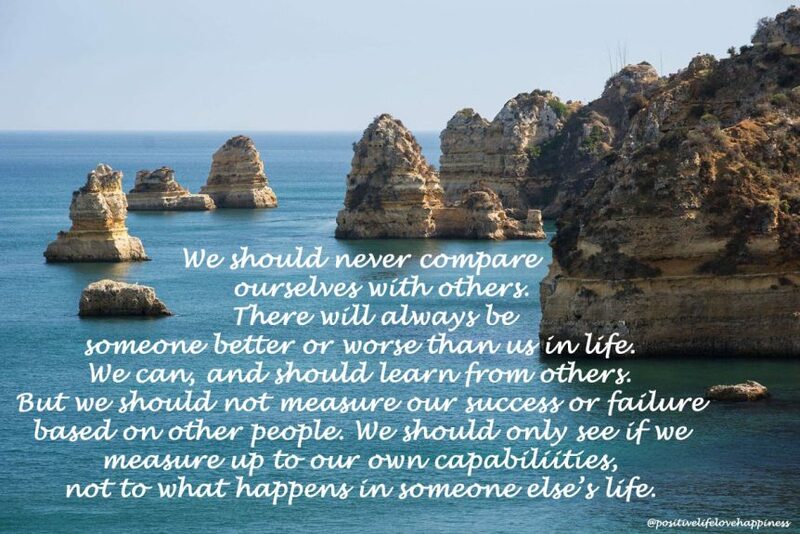 We should never compare ourselves with others. There will always be someone better or worse than us in life. We can, and should learn from others. But we should not measure our success or failure based on other people. We should only see if we measure up to our own capabiliities, not to what happens in someone else’s life.